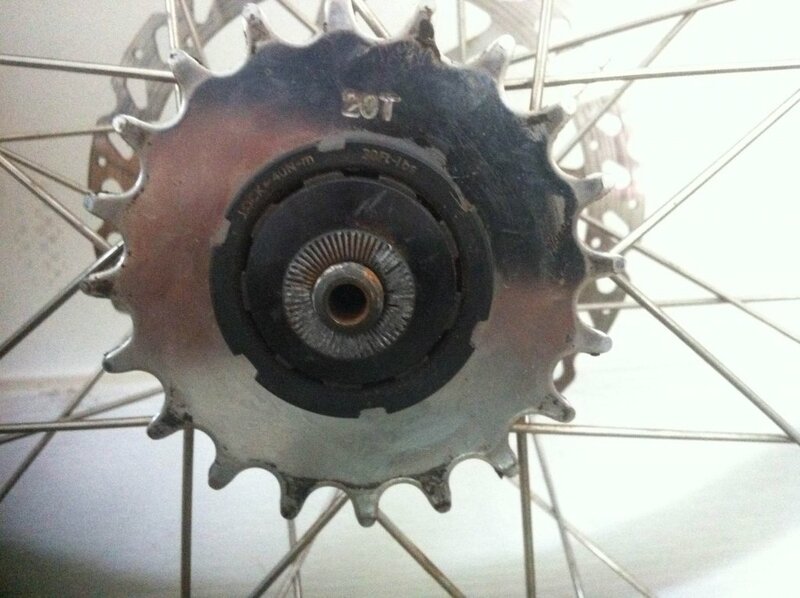 Thread: Which freewheel/lockring tool to remove this rear cog? Can anyone tell me which specific freewheel/lockring tool I need to remove the cog in this photo. I have an FR-5, which is tool small, but looking at Park Tool's site, I can't figure out which tool is the right one. Thanks in advance. I doubt it is FR8 - FR8 has 4 notches. And I assume you do have chainwhip and know how to use it? Agreed. Looks like a plain ol' lockring. Thanks mongol777, a channel lock and chainwhip ended up doing the trick (because I'm impatient), but I will pick up that tool for future use. Awesome!!! I was about to suggest just using chainwhip and flat screwdriver to get it out but than realized that you will need to put it back on and tighten it good (as I assume you want to change the cog). Channel lock sure beats my screwdriver idea! That tool is very handy - I use for both servicing/installing old school BBs and it is awesome for my fixie lockrings as well. I've used a punch and hammer before. Only issue is judging how tight it is when putting it back on. I was going to say screwdriver (and hammer) too! Man Please don't use hammers for such tasks! Proper tools is the way to go!